A closet full of old photo albums, and some important documents can now be stored without using up valuable space. Vital documents that could be destroyed by fire or other disasters can be protected and backup for safe keeping. And, all this can be shared with your loved ones, no matter where they are. Digital tools are the key to all these benefits and much more. Contact us for your Free 15-30 minutes phone or in-person consultation to review your needs and establish a personalized digitalization plan for you. We scan the documents you have accumulated over the years and especially the ones that need to be saved for a lifetime. 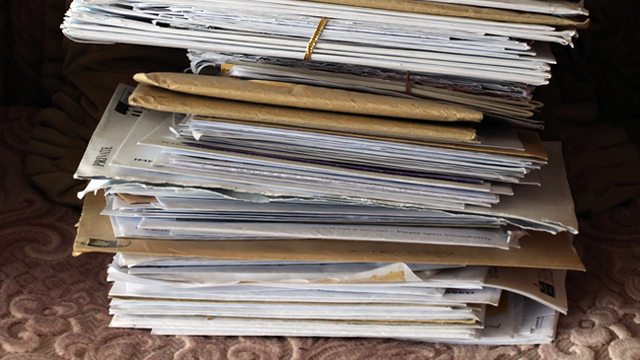 You can clean out your file cabinets, preserve documents in case of disaster etc., and reduce paper clutter and boxes. Notary services for personal or loan signing. We are mobile —- we come to you. Your precious belonging do not leave your home or office. For business’s, museums, societies – we provide a mobile service in your place of business so again your documents do not leave your facility until you are ready to store them. If you have made a decision to de-clutter your lives, eliminate paper files, move towards green alternatives, and identify better electronic solutions for your documents and records needs, digital4keeps can help you on your journey. Don’t have the knowledge of the technology and software to make this happen. Combining our high-speed scanners, electronic software, “cloud” resources for housing information, and environmental concerns; we can help our clients get their documents scanned. It’s a green alternative to printing and keeping paper and maintaining filing cabinets and folders. It allows you to search for documents electronically with more efficiency than going to hard copy files which need to be searched one at a time. Allows for greater efficiencies and productivity. Saves money in printing costs. Electronic alternatives change the way you work with your information. Most of us are pretty aware of the ease with finding information in electronic systems (that we help you set-up correctly!) It is much easier to search for lost electronic files than it is to find documents stuck away in a box, in the garage or storage unit, that haven’t been accessed in 2-3 years. While there may be a humorous component to searching in far away places, it’s definitely not funny at the time when you’re trying to find something you need NOW! We’ve all been there . . . LOL! If you are ready to conquer your paper clutter. . . And begin doing something for the planet we can help you see the cost savings on printing less and using less toner/printer cartridges, and paper, reduce the space in your home required for all the important documents in your life. Business’s can benefit from the services of digital4keeps in helping you digitize all your business documents and allow you to store hard copies off site and reduce the cost of maintaining them. A sampling of business’s that may benefit from our service are: small business;s not digitized yet, realtors funeral homes, party planners, wedding planners to name a few and of course individuals. Over 100 years of old family photos were scanned, cropped and corrected. A family heirloom DVD movie created and shared with over 200 people. We could not be more pleased with the service, the personal touch provided by digital4keeps. We have been able to share photos of great-great grandparents with all our family. They have a love of family memories and preservation which can be seen in their work. I have been able to reduce my personal filing space in my house from three drawers to one since digital4keeps has scanned my home documents. I have also been able to send a DVD copy to my daughter for safe keeping. As the executor of our estate we know she will be able to have the important information at her finger tips when the time arrives for her to complete her duties. Thank you for providing us peace of mind.